Start your Kemper Windshield Replacement Claim Today! Kemper windshield replacement and auto glass repairs are fast, easy, and are APPROVED with Glas Tek. We like making Kemper windshield replacement claims stress-free. We will guide you through the entire 15 minutes process and answer all your questions prior to filing the your Kemper windshield replacement claim. 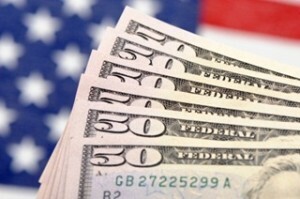 Plus, you will receive up to $150 Fast Cash with all fully covered Kemper windshield replacements. Glas Tek is an “Approved” windshield replacement and auto glass repair shop for Kemper which means that Kemper insurance will stand behind our work. This takes the worry out of choosing the right auto glass replacement shop to perform your work. In addition, we come to your home or business for FREE anywhere in the Phoenix market. When you get comprehensive coverage for your vehicle, auto glass coverage with a zero deductible may be available. Arizona is one the states that offers this kind of coverage. In this case, any time your windshield is damaged you can file a Kemper windshield replacement claim and have your windshield replaced at no cost to you. Plus, we will bring you $50 CASH just for letting Glas Tek service your vehicle. No worries, Glas Tek accepts Kempers contract pricing therefore there will be no additional added charges for you or your insurance company. A third-party administrator (TPA) that administers Kemper windshield replacement claims and Glas Tek is an approved provider for them. This means that Glas Tek not only honors Kemper prices but Kemper stands behind Glas Tek’s nationwide lifetime warranty. Claim filing will only take about 10-15 minutes of your time and Glas Tek will walk you through the entire process. We know how intimidating insurance companies can be and want to make the process comfortable and easy. Call us direct or start your Kemper auto glass replacement claim online today! When we call Kemper to file a claim together, you will be informed that the call will be recorded for quality purposes. Once we make the call, you will be expected to answer a few questions to help with the claim. You will be required to provide your name, your policy number and the date when the damage to your windshield occurred. You might not able to recall the exact time when the damage occurred. You can still provide a date as close to the day of the damage as you can remember. Kemper cannot choose the date for you. Just be sure that you had coverage on the date being reported. You will be asked if any other type of damage apart from the glass occurred to your vehicle. You will then be required to provide specific personal information for purposes of verification. The information includes your date of birth, the zip code that’s on your policy, and the year, model and make of your vehicle. You will also be asked to provide details of the person that was driving when the damage or the accident to the glass occurred. You are also required to provide the name of the state where the damage occurred and to state the type of damage that occurred. You will be specifically required to describe the details of the damage. You should also expect a representative of Kemper to verify your coverage. Make sure that you provide them with an email address where they can send information applicable to your claim. You can expect Kemper insurance to confirm that Glas Tek will be doing the replacement and you will be informed that we are one of Kemper’s preferred auto glass repair providers. Glas Tek will also be provided with a reference number so that they can bill Kemper insurance directly for the service provided. You can then expect an appointment to be set up by Glas Tek and in most cases can be done same day. 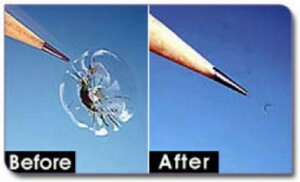 Glas Tek are experts and knowledgeable in all types of windshield replacement and auto glass repairs. They know which windshield is right for you. They are an approved and a preferred windshield replacement vendor. This means that they work with all insurance companies and will gladly honor Kemper insurance contract pricing. This means that you will not get any additional costs as long as your policy covers the replacement in full. Once you fill out the auto glass replacement online claim form, Glas Tek will call you immediately and help you throughout the entire insurance claim process. Glas Tek will pay you up to $150 CASH at the time of service with any Kemper windshield replacement claim. 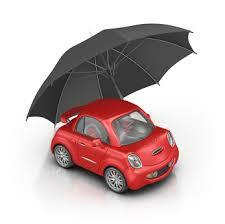 Policyholder must carry full auto glass coverage on their comprehensive insurance policy to qualify. Or, we will waive up to $150 of your deductible. No worries, Glas Tek is an approved Kemper windshield replacement shop and accepts their contract pricing therefore you will never have any additional out of pocket costs. Furthermore, Kemper backs Glas Tek’s nationwide lifetime warranty and stands behind their work. It’s a no brainer, call Glas Tek or start your auto glass replacement claim online now and claim your up to $150 CASH TODAY. Most cases, Kemper windshield replacements can be completed the same day. Kemper will waive all comprehensive deductibles for a windshield chip repair. This means, that if you do not have the auto glass waiver on your policy and have a deductible such as $250, Kemper will still waive the deductible and pay your windshield chip repair in full. This will save you $49.95 that we typically charge for windshield chip repairs. Plus, filing a windshield repair will not increase your insurance premium due to state law. Any no fault claim including chip repairs will not increase insurance rates. The benefits of a windshield repairs are that they take less time than a replacement and keep the original factory seal. However, windshield repairs are not a cosmetic fix and will not make the break completely disappear. A successful repair will keep the break from spreading from the point of repair. Factors that promote the outcome of a windshield repair include the size, location, time, and type of break on the windshield. Visit our windshield chip repair process or windshield repair FAQ’s page to learn more about repairs. Do not let broken glass slow you down. Instead, use the glass claim service that Glas Tek provides. This way, you can swiftly and conveniently access glass replacement services and get back on the road in no time. To get this service, you should file a report with Glas Tek as soon as possible. This can be done online or you can call Glas Tek direct and they will be happy to answer all of your questions and guide you through the easy Kemper windshield replacement claim process.